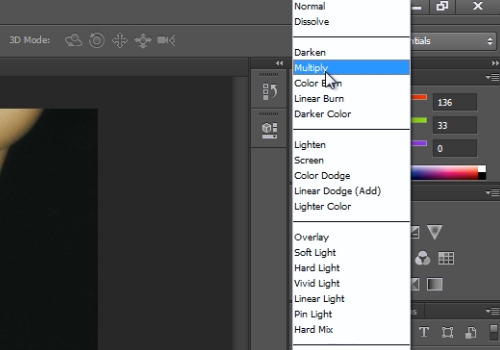 In this video tutorial we will show you how to create fake tattoos in Photoshop. Launch the Adobe Photoshop. Go to “File” menu and press “Open”. Choose a photo you want to edit. Go to the “File” menu, press “Open”. Select a photo with the tattoo. 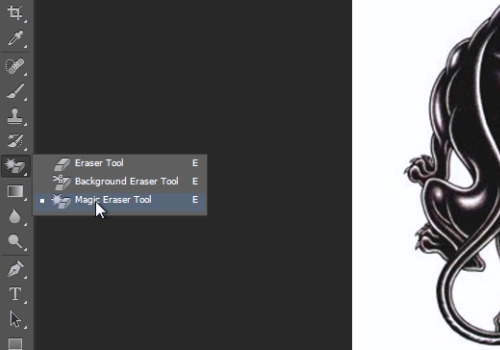 Then select the “Magic Eraser Tool” from the toolbar. Move cursor onto the tattoo picture and left click on the white background of the image. Then select the “Move tool” from the toolbar. Go to the tattoo and left click on it. Move it to the other picture tab while holding the left mouse button. Align the tattoo on the image. 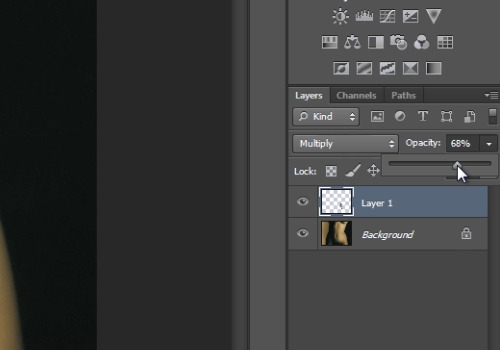 Go to the layers tab and select “Multiply” option from the “Overlay mode” drop-down list. Adjust the “Opacity” by moving the corresponding slider to achieve a better result.